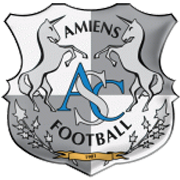 Amiens and Caen take on each other at Stade Credit Agricole de la Licorne in the relegation six-pointer. Amiens are on a four-game losing run in the Ligue 1, with the team failing to score in three of those matches. The Unicorns are desperate to escape the relegation zone, but seeing that they head into Saturday’s football game with the lack of confidence, home win should not be considered. Caen, on the other hand, were not into action at the weekend, meaning that tired legs should not prove to be a problem for them in the Stade Credit Agricole clash. The two sides are level on points in the Ligue 1 standings ahead of the relegation six-pointer and, taking everything into account, we predict that they are going to share the spoils on Matchday 24. It has to be noted that Caen recorded a 1-0 win over Amiens in the first half of the season.